Manchester United are in talks with a Chinese Super League club over the potential sale of Marouane Fellaini. 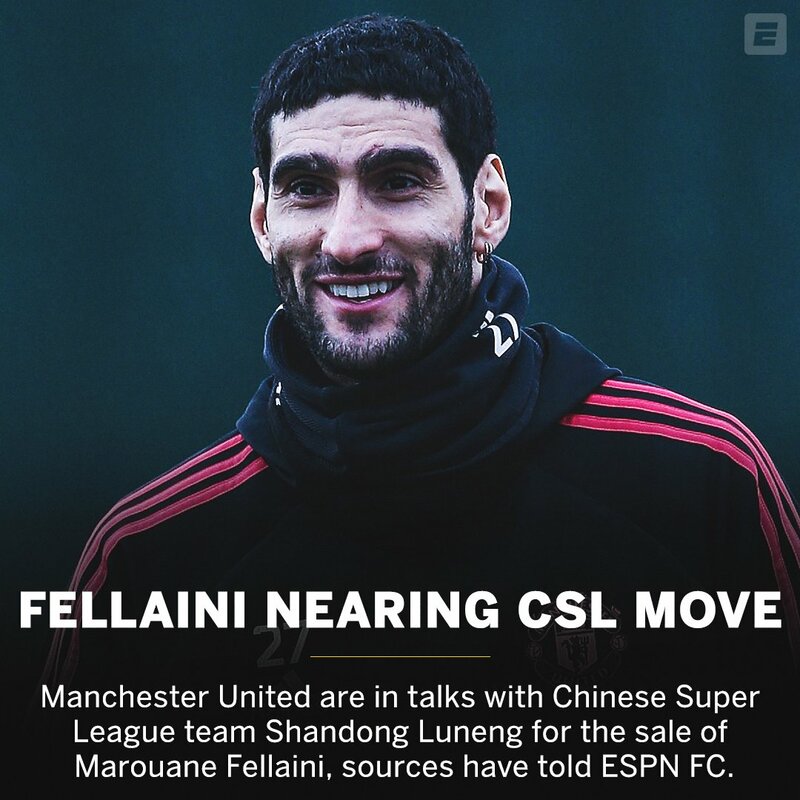 It is thought that Shandong Luneng, currently third in the Chinese top flight, are the club chasing Fellaini and it has been reported they have sent a delegation to Manchester to meet the player and try and wrap up a deal. Yet since the Chinese transfer window does not close until Feb 28, there is no time pressure on a deal having to be struck before the close of the English window on Thursday. United are eager to cash in on Fellaini only seven months after the club were reluctantly persuaded into handing the Belgium midfielder a new two-year contract by former manager Jose Mourinho. Fellaini was a big favourite of Mourinho but the player’s future was thrown into doubt when the Portuguese manager was sacked a week before Christmas and he has no hope of regular first-team action under caretaker manager Ole Gunnar Solskjaer, who wants much faster football. Fellaini - whose contract expires at the end of next season - is thought to have been aware of Chinese interest for several weeks now and the decision is now in his hands. He is aware that his chances are likely to be limited in the extreme under Solskjaer. Fellaini’s fellow Belgium midfielder, Mousa Dembele, left Tottenham for Guangzhou R&F in China an £11million deal this month. Several other Belgians have also tried their hand in the country in recent times. Yannick Carrasco joined Dalian Yifang last year. Axel Witsel spent 18 months at Tianjin Quanjian before moving to Borussia Dortmund last summer. Fellaini has played just 31 minutes under Solskjaer after coming on as a substitute in the wins over Cardiff and Reading but his style of play does not fit with the direction of the team under the Norwegian, who is happy to sell the 31-year-old. Paul Pogba, Nemanja Matic and Ander Herrera make up Solskjaer’s first-choice midfield and Fellaini has fallen behind Fred, Andreas Pereira and Scott McTominay in the pecking order, while the interim manager is also keen to try and blood some of the club’s aspiring youngsters ahead of him. The Belgian is not part of United’s squad for Tuesday night’s game against Burnley at Old Trafford as he is still recovering from a calf injury. He has been in Antwerp this week receiving treatment at the Move To Cure clinic. Mourinho faced a protracted battle to convince the United board to hand Fellaini a new contract. The situation dragged on for over 10 months before Fellaini - originally signed by David Moyes from Everton for £27.5m in September 2013 - was eventually awarded a two-year deal that tied him to the club until June 2020. But the thinking has changed since Mourinho has gone and Solskjaer has adopted a much quicker, slicker style of football and Fellaini is surplus to requirements. Meanwhile, Juan Mata is continuing to weigh up his options after being offered a 12-month extension to his current United contract, which expires at the end of the season. As things stands, the Spain midfielder seems unlikely to accept United’s offer, even though he would not leave Old Trafford lightly. Mata, 30, has several clubs interested in him and believes he can still deliver for a top side, despite falling down the pecking order at United. Ideally, he would like a longer contract and a greater guarantee of regular first team football but will not be rushed into a decision. The deal taking Marouane Fellaini to China might not be concluded today, according to our reporter James Cooper. The Chinese transfer window is open for another month though. 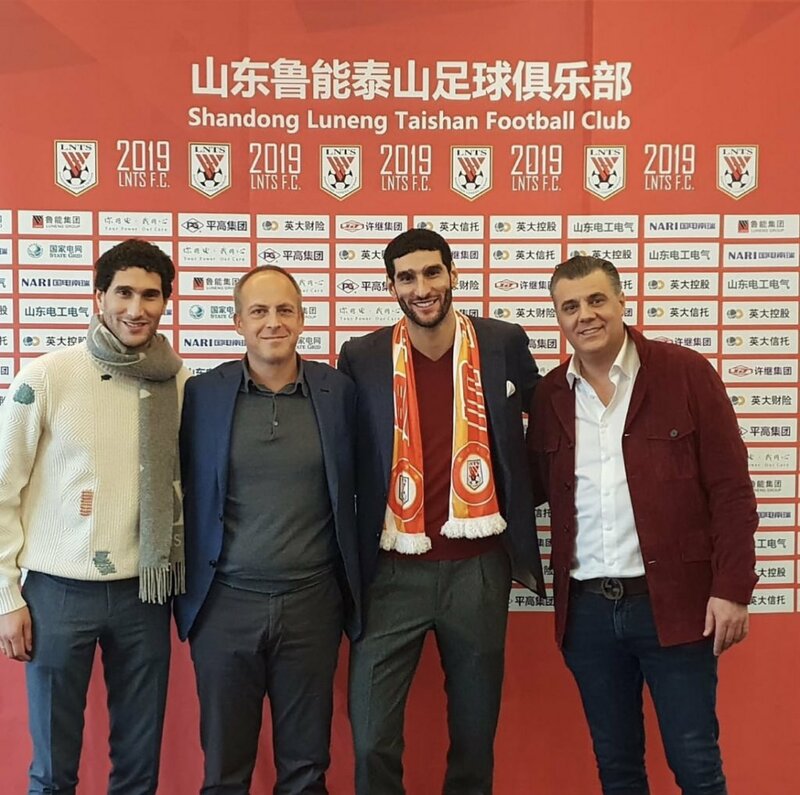 “One thing that is progressing very nicely from Marouane Fellaini’s point of view is his transfer to the Chinese Super League with Shandong Luneng. "There’s a lot of paperwork going back and forth this morning. I think these transfers tend to be protracted but there are no time restraints because there’s another month left in the Chinese window. Fellaini scored 22 goals and helped the club to win four trophies - the Emirates FA Cup, FA Community Shield, League Cup and UEFA Europa League.